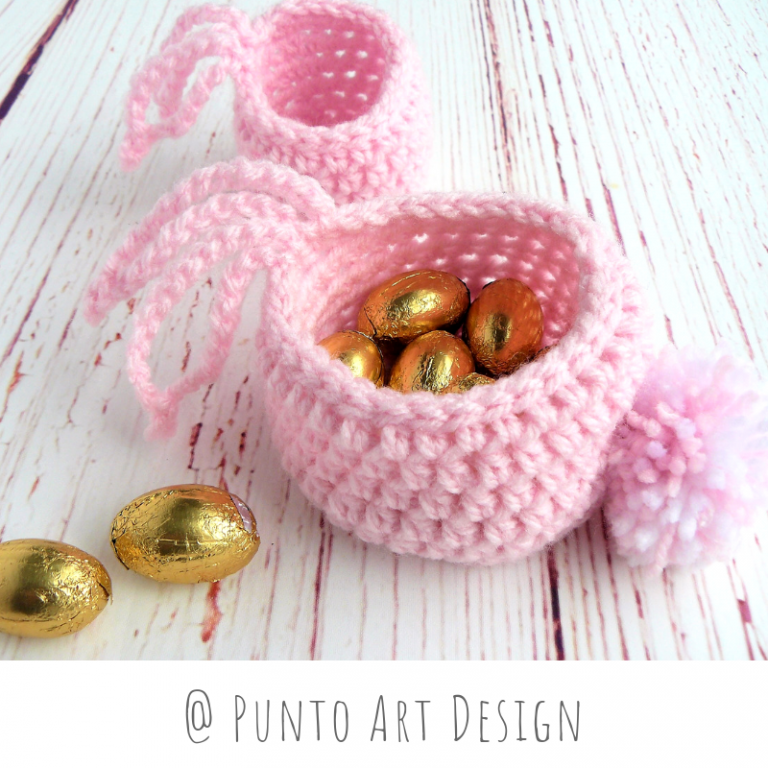 Free crochet pattern to make a bunny basket. This is a quick and easy project to do at Easter. The basket includes rabbit ears and tail, and the option to make a set of them. Work 8 half treble crochet (htr) into a magic ring. Continue on rounds following the pattern from the bottom to the top and from right to left. Repeat the motif in black (R) 5 times or as many times as you wish. Round 5: work 1 htr back loop only in each stitch, (32 stitches). To finish, make 1 pompom of 4 cm in diameter and join it to the basket on the side opposite the ears. The easiest way to make the perfect pompoms is with a Pom Pom Maker, easy to use and with brilliant results. TIP: with the same pattern you can make a smaller basket to complete the set. Finish the base in round 3 (24 stitches).Repeat the motif in black (R) 4 times. And in the ears work 10 ch instead of 12.